Angels are fictitious supernatural beings which appear in art and literature of various religions and mythologies. Usually angels are presented as benevolent celestial beings who act as messengers between heaven and earth. The majority of art works represent angels as human figures of extraordinary beauty who appear with a halo, bird wings and a burst of light often referred to as a Nimbus halo. Angels have been illustrated though out history as wingless and winged both. Christian art most often represents angels as winged beings. Faiths and religions whose followers believe angels exist. According to Abrahamic religions, Cherubs originally protected the Garden of Eden. 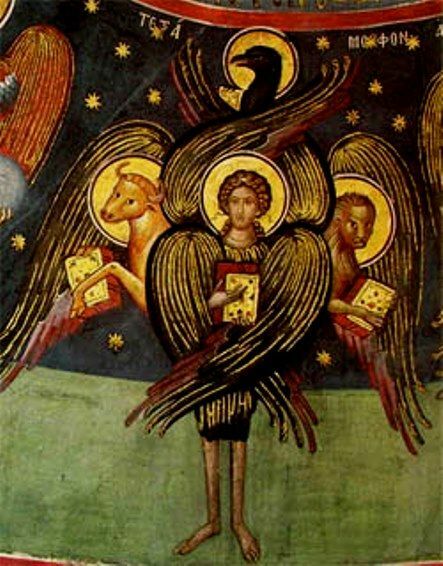 In the Book of Ezekiel, one of the major prophetic books in the Old Testament, the cherub is described as having four faces, two pairs of wings, and two legs. Cherubim in the In Western Christian tradition became associated with the putto, resulting in depictions of cherubim little plump, winged infants. A fairy is a mythical, legendary creature in European folklore; Celtic, Slavic, German, English, and French. Myths and stories about fairies seem to be a collection of folk beliefs from various origins. Fairies may be depicted as demoted angels or demons, spirits of the dead and as precursors to the human race. The word "fairy" may also be applied to describe small magical creatures with human appearance and a strong penchant for mischief and trickery. Sometimes goblins and gnomes are referred to as fairies for their ability to "enchant" or possess with "magical." A nymph, in Greek mythology is a minor female deity. Unlike other Greek goddesses, nymphs are usually depicted as young maidens who enjoy dancing and singing. Nymphs reside in mountainous regions and forests located near springs or rivers. Color and angel images, laminate to create hanging ornaments for the Christmas tree or to hang on the dash rear view mirror to bring an angel on board for those daring trips to the grocery store.